Nestle Health Science has launched a new dietary supplement Boost in the Philippines in June 2017 targeting ageing consumers (50 years old and above). The range comprises Mobilis, Optimum and Energis. The demographic of the Philippines is still very young with a median age of around 23.4, according to the CIA World Factbook. Even though the pyramid population of the Philippines is still in a triangular shape, Nestle is not neglecting consumers on the peak with a dietary supplement to support graceful ageing. Seniors are expected to account for 11.5% of the population by 2030, said Dr. Earleen Seno-Ong, head of geriatrics at St. Luke’s Medical Center. At the moment, 6.9% of the population are above 60 years old. As a comparison, China has a much higher median age of 37.1, which puts the world’s populous country in a perilous situation, having to cope with dwindling labour and ageing. The range comprises Mobilis and Vitalis to address the need for vitality and mobility among the active population. The launch was made in collaboration with AliHealth, Alibaba’s flagship medical and health e-commerce platform. 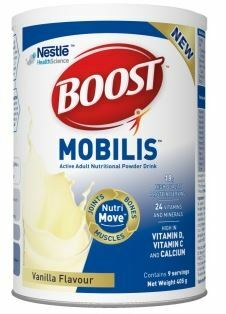 AliHealth will contribute its e-commerce and big data capabilities to support the launch of Nestle Boost. 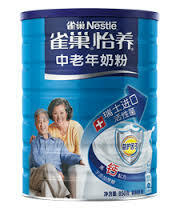 Nestle has an existing dairy product for senior in Chinaunder the Yiyang (怡养) range. 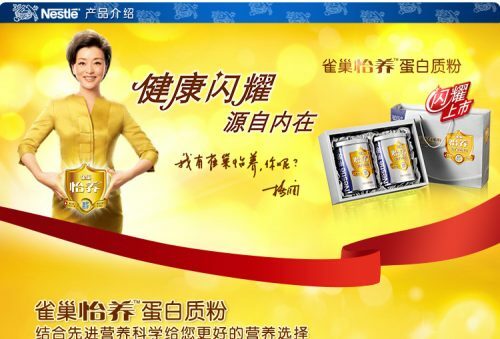 The new “Yiyang Fuel for Brain” senior milk powder, launched in May 2017, contains medium-chain triglycerides (MCT) and adds to the existing range comprising Yiyang Protein Powder. 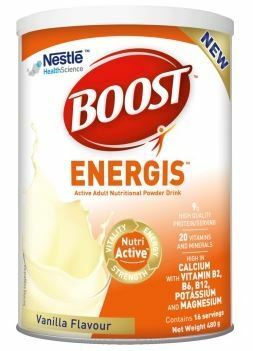 The existence of the Yiyang range explains why Nestle China is targeting the urban working population with the new Boost range.